Money spoils everything, Hence proved. 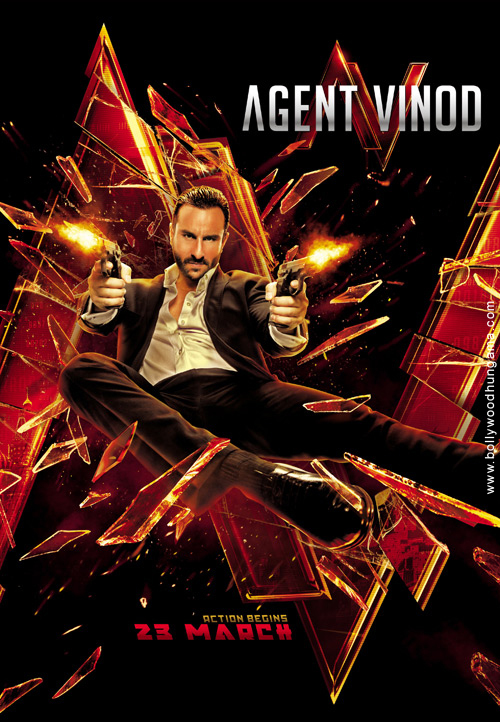 With over Rs100 crore of money Agent Vinod went overboard with style and fashion. Sriram Raghvan was a good director, once you get money you loose the plot, and that's what he did. Disappointed. Although a good movie but looking at his standards his worst. 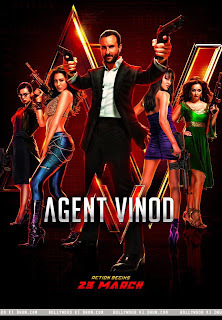 If you remember him in Johnny Gaddar which is one of the finest thriller in the history of Bollywood, you will have a much better expectation with Agent Vinod. But the price was paid when you got your actor as a producer. The movie is good in its wit and humor and in patches along with its support casts. Sin city style casting which gave an impression of sloppy editing and camera angles but soon the movie went linear and with almost not so good story. The loopholes could not hold enough water for the movie and it fell flat on the ground. I can bet it will be another hit because the action sequence are far better and real than comical Salman Khan's movies.The film revolved like a Globetrotter where its easy to jump countries than changing shoes. The Agent went to Russia then Morrorco with just a clue to decode 242 which in turn is just another Nuclear Bomb like any B grade movie. The impossible mission was accomplished by the help of a Pakistani spy with no mission at all. The female spy would simply fall for our desi agent and forget her agenda. After all there was no agenda of her than to seduce the silver screen. 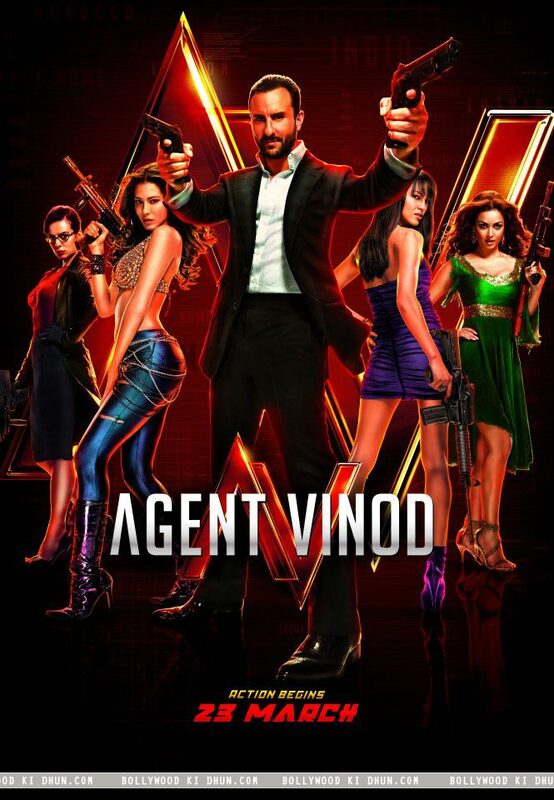 One good thing about this movie is that although it shows Pakistan's ISI chief assassinated by its own subordinate and supporting terrorism but it never bashed Pakistan's sentiments and kept it subtle. Another loose thing was not to end the movie at the right time and streching the end iin such an unconvincing way that shows Lashkar-e-tauiba as more efficient and proactive. Like always, Sriram, maintained its Homage to Charlie Chaplin, Mahendar Sandhu, Amar Chitra Katha, Amar Akbar Anthony, Vidya Mandir, and many other unnoticeables. The movie went from Afganistan to Russia to Morocco to Latvia to Somalia to Karachi to New Delhi. You will wonder why Maryam Zakaria was packed in a sack in the middle of Kabul just to appear again in Karachi to invite Kareena for a cleavage competition in a routine dance of Dil Mufft ka. The song was unnecessary the same way Gulshan Grover was used, there was no mention of his role and he vanished as soon as song ended. Ram Kapoor was good in a fat Russian drug mafia, however he hired an Indian bodyguard along with too many Russians, another small loophole. While Dhritiman Chatterjee and Adil Hussain were good in their character. It was Anshuman Singhas Jimmy who gave an impressive debut without any screenplay. Zakir Hussain was also good as side kick.Saif Ali khan was sleek and never looked like a suave Jamesbond neither a survivor like Bourne, nor a traveler like Tintin. 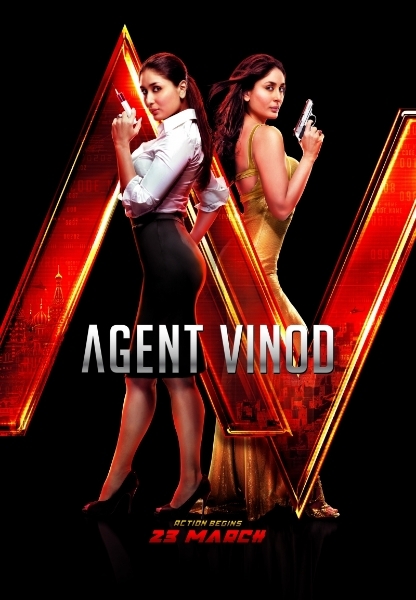 He was just another Bollywood hero with all the skill set to fight his enemy, right from shooting with efficient aim, driving bikes, chasing girls and flying a helicopter.Kareena's character was a real spoilsport in this movie. She looked amazingly beautiful but too beautiful to do justice to a spy from Pakistan. You might wonder when does a country like pakistan has really grown out of its male chauvnism to allow such a beautiful spy.